UNESCO-inscribed places of interest is my priority when visiting a country. 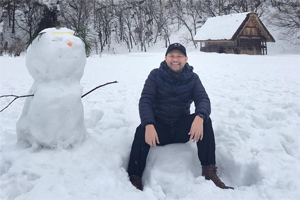 South Korea is no exception to my feat, though a work in progress to complete. As of 2016, there are twelve world heritage sites in South Korea composed of eleven cultural sites and one natural site. The Palace is closed every Monday. This is a reminder from our first trip in Seoul. Constructed of wood and set on stone platforms, featuring tiled hipped roofs with a corbelled multi-bracket system and ornamental carvings, this UNESCO World Heritage Site complex is designed in accordance with traditional palace layout principles. 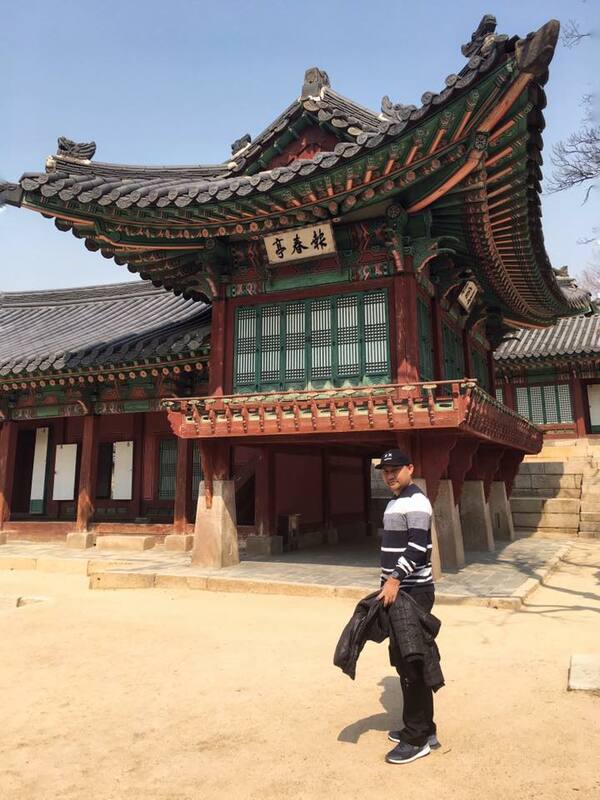 The buildings of Changdeokgung Palace complex blend with the natural topography of the site. There is a secret garden as well, which tour is mandatory to go with a group and a guide. The tour takes almost an hour and for us with a limited time in the city, we have to let go of the opportunity and wander on the huge complex instead. Portions of the palace were likewise used in filming the popular Korean drama, Jewel in the Palace. 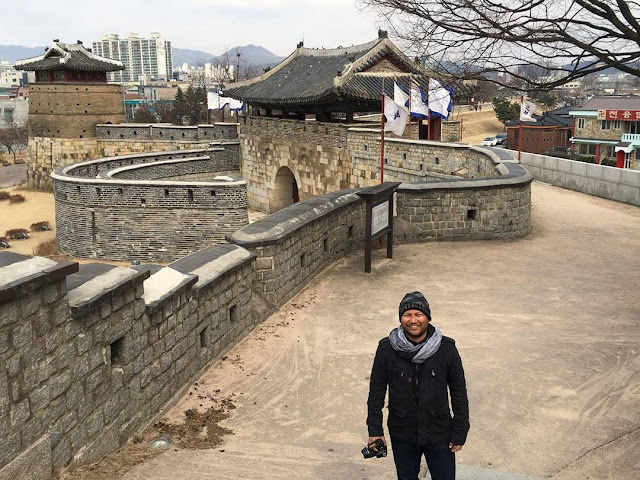 Surrounding Suwon, the provincial capitol of Gyeonggi-do South Korea, is a concrete wall names as the Brilliant Castle or the Hwaseong Fortress. The Korean fortress was builty by a king in the Joseon dynasty to honor the remains of his father, who has been executed by being locked alive inside a rice chest by his own father after failing to obey the command to commit suicide. The surrounding wall resembles that of Intramuros in Manila only that this fortress is much wider in acres and regarded with cultural significance. But what is more surprising for this destination is its appeal to avid viewers of Korean TV dramas, especially that one of the palaces in the vicinity was chosen as one of the locations of South Korea’s worldwide period drama “Daejanggeum or popularly known as “Jewel in the Palace”. 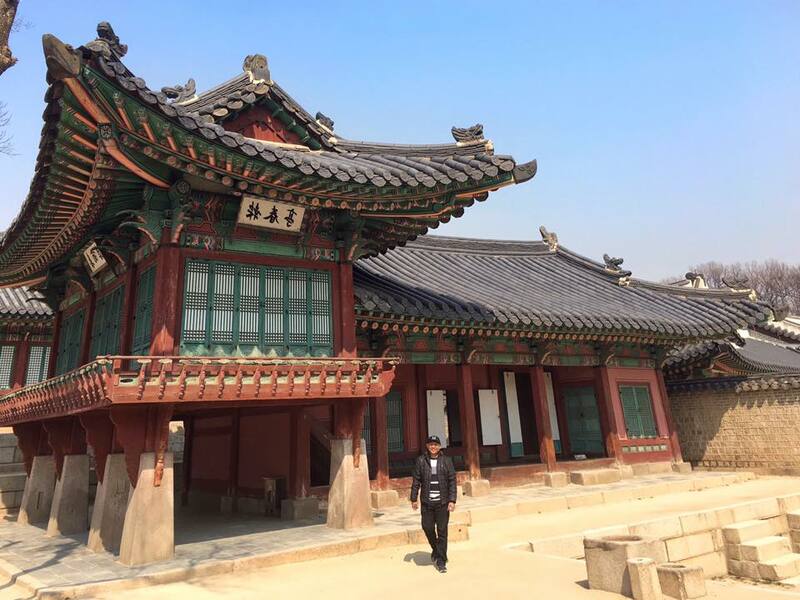 The palace is named as Hwaseong Temporary Palace. We were actually caught by surprise because we have no idea what this fortress is all about. A day trip to the province of Gyeonggi though is all worth it. · Take Subway Line 1 (blue) south – Cheonan Line in the direction of Sinchang to Suwon Station. Trains may go different locations, so you must be aware at all times that it should be on the direction towards Suwon or Sinchang. · At Suwon Station, hop on the intra-city bus either 11, 13, 13-3, 36 or 39 at Exit 4. (Suwon Station – North square) which all go to Paldalman. The said buses leave from Deokyyeongdae-rp which is right where the train station and the tourist information are. · Get out of the bus at Paldalman. This is a roundabout with a monument in the middle. 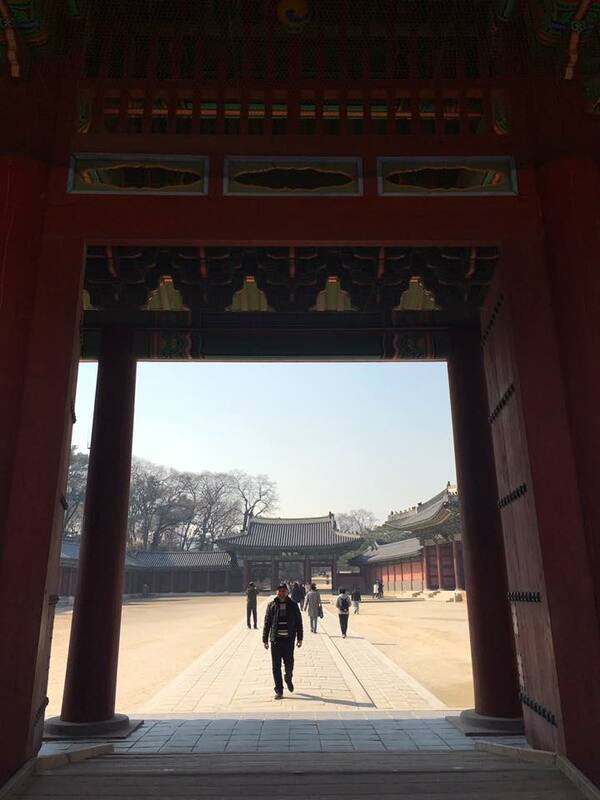 And walk towards the Hwaseong Temporary Palace and other sites leading to the fortress. This is much more expensive amounting to 2,700 won but convenient. The travel is non-stop from Seoul Station to Suwon Station. We opted for the first option. Cebu Pacific flies to South Korea daily through Incheon from Manila, Kalibo and Cebu. Check their website regularly for promo fares because we were able to get a great deal for our trips. Three thousand pesos for a roundtrip fare is possible and even less.